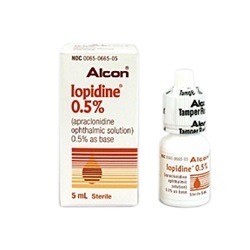 Sterile Iopidine 0.5 % ophthalmic drops in a 5mL dropper bottle. Alpha-Adrenergic Agonist. 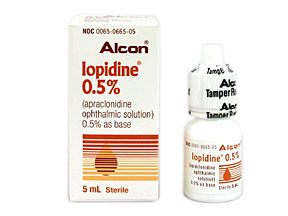 Generic name is Apraclonidine. Manufactured by Alcon. NDC Number: 00065-0665-05. Comes as singles.